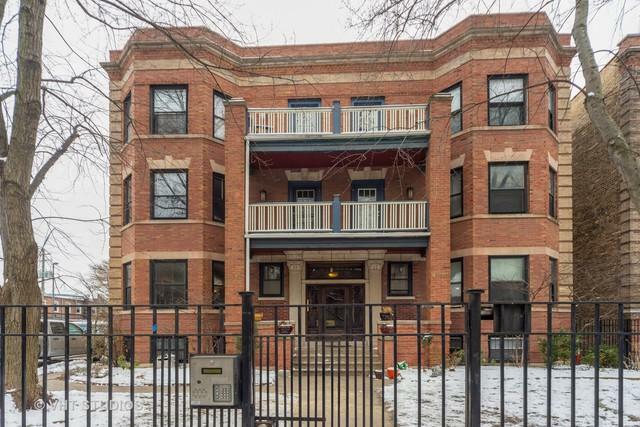 This gracious center entrance 8 unit in Sheridan Pk is home for this updated duplex condo w/gated parking. A gated entry leads to a large courtyard. 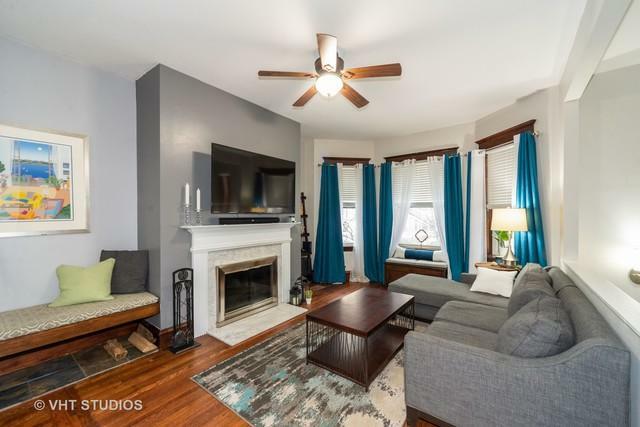 The unit features a blend of old world craftsmanship & recent improvements- Original woodwork, hardwood flooring, high ceilings & a marble accented wood burning fireplace. Recent updates include 2 remodeled baths, new carpeting & a built in bar w/wine fridge. The 1/2 bath was gutted. New glass tile accent the vanity. The full bath has a marble surround in the tub area & marble flooring and new vanity. 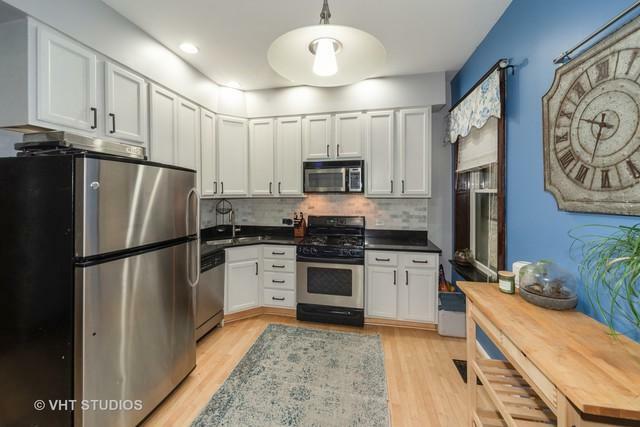 The kitchen features white cabinetry, a mosaic tile back splash, granite counters, stainless appliances & a breakfast bar overlooking the living room. GFA/CA is less than 5 years old. Great closet space & storage +laundry in unit. A front porch overlooks the courtyard. 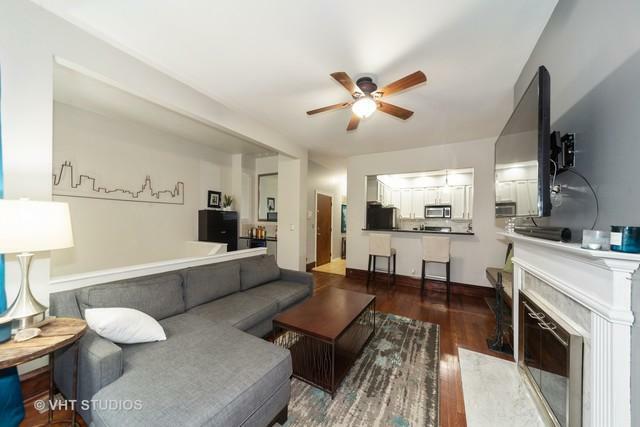 Walk to Red Line, Theater District, shopping & the lake front.